There can never be a day without keerai/ greens in my parents place. Amma loves vegetables and she always make sure that we get a dose of veggies as part of our everyday meals. I have picked this good habit of eating greens from her. Be it veg or non veg recipes there will always be vegetables as sides in the form of poriyals or frys. I love Amma's version of keerai she makes so many varieties that I never fail to miss out when ever I come home and also share them with all of you here. 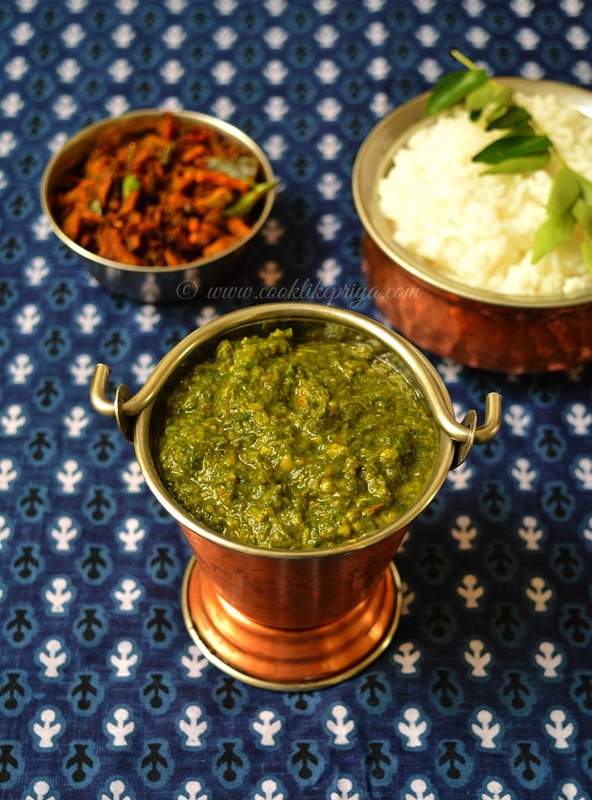 This Arai keerai masiyal is a mix of dal and greens together with a lovely flavour that it can be made as a main curry to go with white rice and sides like poryial or fry. Kozhukattai / rice dumpling is a famous South Indian snack item. I used wait for the festival seasons to get these steamed beauties from the next door neighbor and immediately gobble few ;-) although Amma used to say don't be so greedy I can make you some at home. The day never happened, so this time when I was home I pulled Amma to make kozhukattai for me and I tell you this is like a childhood food wish. I was so excited during the entire process and Amma gave me the messy job of shaping the kozhukattai and I used fancy mold to get them into perfect shapes (sort of). I usually like the sweet version and especially with the black filling (ellu jaggery/ ellu pooranam). The soft outer and the sweet crunchy inner does a marriage of flavor in every bite. You really have to try this to know how good it tastes. 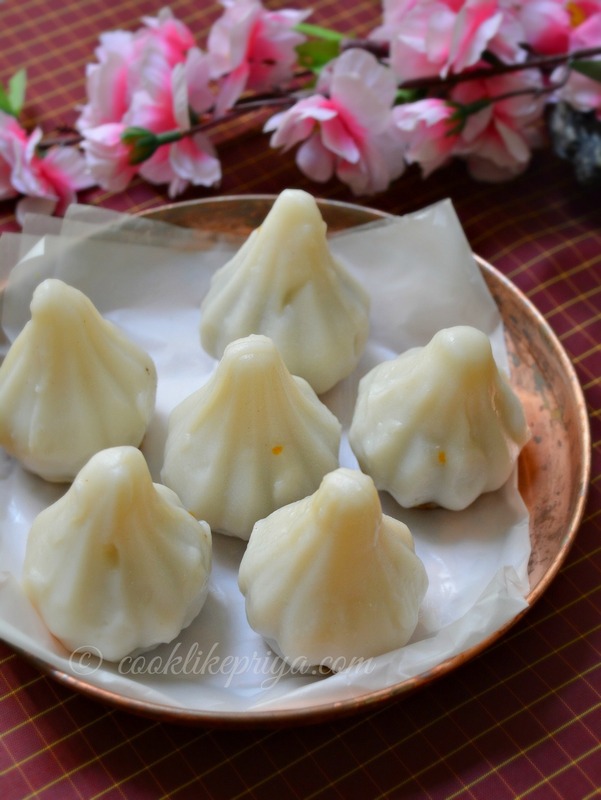 I hope to make kozhukattais in my kitchen and properly share my success stories of different version on my blog. Who doesn't love hot steaming rice with spicy tangy fish curry along with a porriyal. These are memories of mid week meals for me. 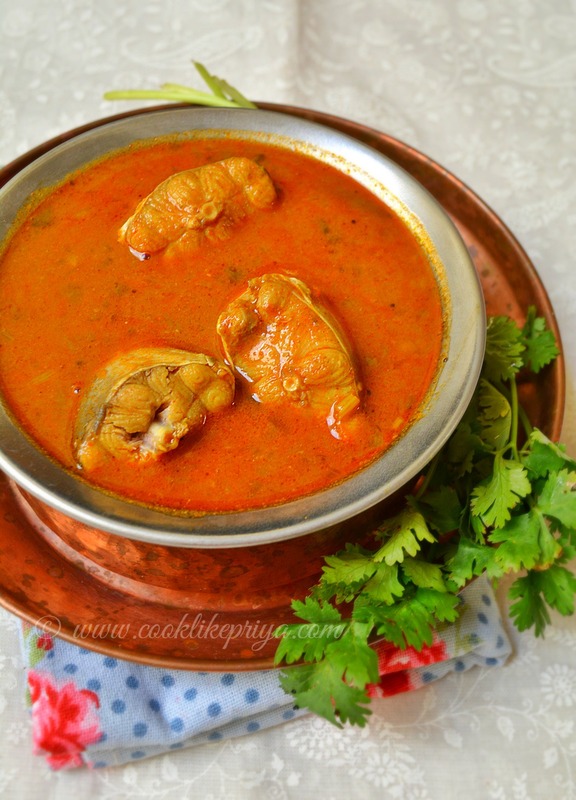 Amma makes the most delicious fish curries and she has perfected it so much that no matter how many times I make fish curry and hear from my husband that it tasted great I still have this 10% unsatisfied part which keeps telling me This is not like how Amma makes :). Do you hear me ;-) I think its an undeniable thought most cooks have. Although I create my own recipes, I still look make to Amma's recipes and get inspiration. I have heard many tell me that they love the tips that I give for recipes below each post :) trust me these are the ones that make a recipe a hit or a miss. Its those little tips and tricks that help you perfect any recipe that I have posted here. Now lets move on to the recipe today. I love sweets that are light and not oily but still have no compromise in taste. Most Indian sweets call for no compromise in ingredients and proportions. The amount of ghee that goes into them really puts me off to try them also. But when it comes to occasions and demands from loved ones we end up making them although we know they are no way good for health or digestion and end of eating them too. So on my look out for some substitutes to famous Indian recipes I came up to this lovely twist to Wheat halwa using Jaggery instead of white sugar. Although there is ghee in it I still reduced the amount of ghee by a tablespoon and still it tasted amazing. The taste and texture of this halwa is soft and buttery almost like silk and I am not kidding. My parents could not even guess what this halwa was :-). I happily packed it for my cousin sister too. 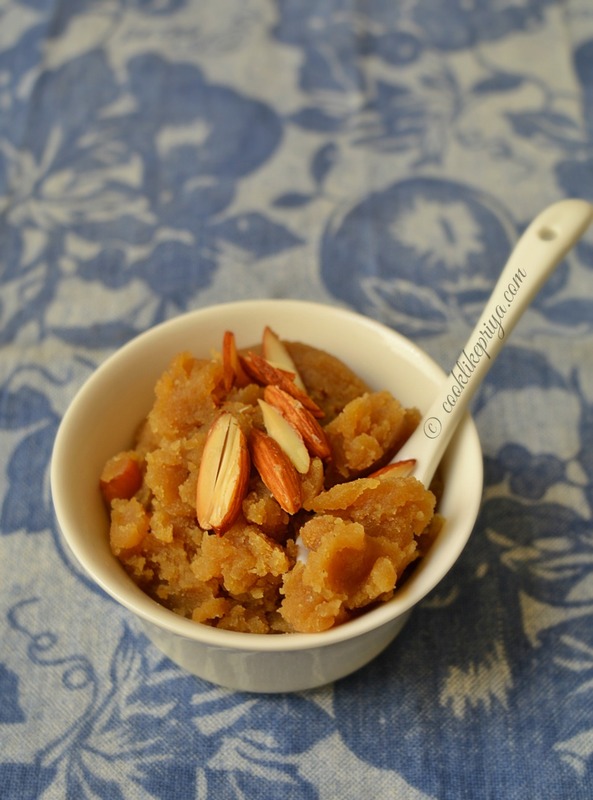 I would also like to tell that I made this wheat / godumai halwa using store bought ghee and homemade ghee, to be honest halwa made with homemade ghee tasted heavenly and the store bought one was not even worth another spoonful. So in case you want to try this please use homemade ghee you will keep making this one again and again. Can I say that this is definitely a 10 minute halwa and a quicker version to the long stirring process fattening halwa. If there is one starter that I always love and devour it would always be this humble Finger fish (fish finger), almost always we end up ordering this dish when we go to restaurants There are different versions to this and Amma perfects them so well in terms of taste and texture. I have seen restaurants just batter fry the fillets and serve along with a mayo or tomato sauce. But take this fish finger to another level by seasoning it to the perfection. 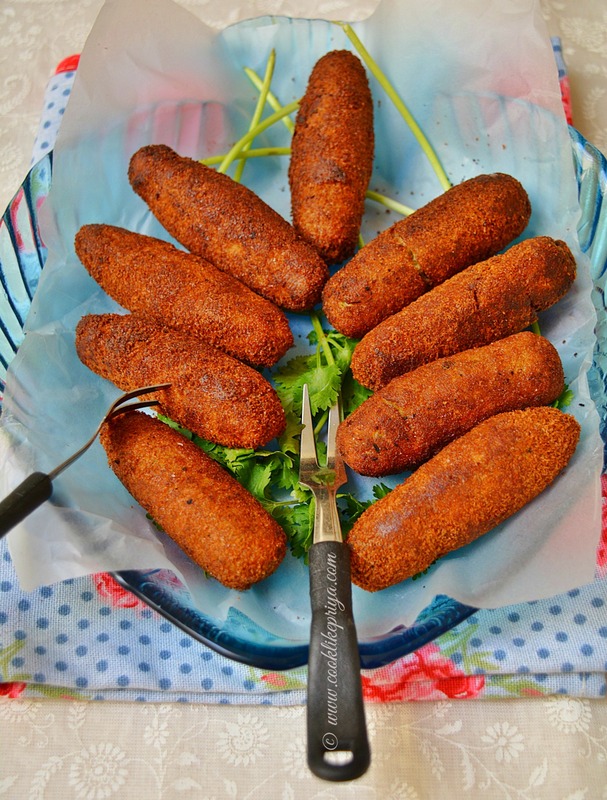 Once you try this version trust me you will never order for fish fingers in a restaurant and make them at home and get tons of compliments from everyone. The wet raining weather and chilled climate calls for some warm comfort drink to kick start the day/ evening. 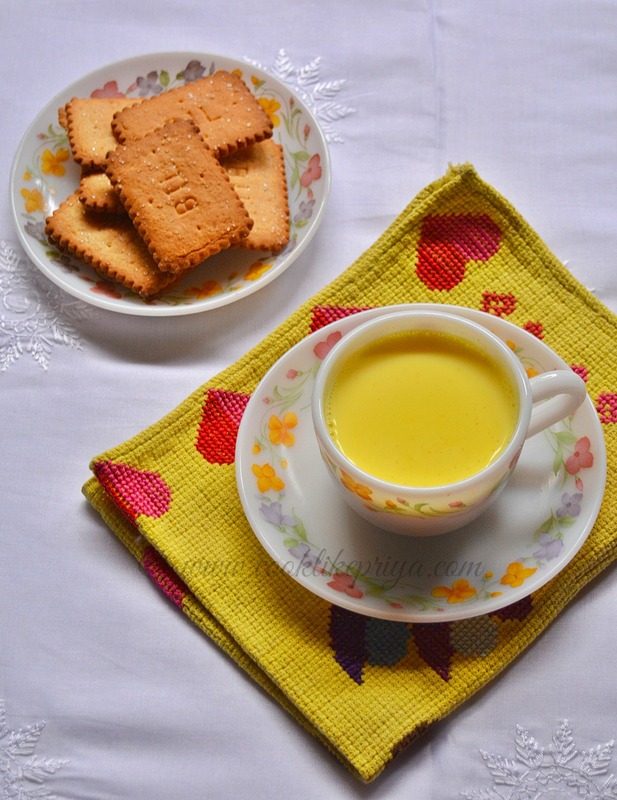 I was craving for some Masala Paal (Masala Milk) and Nice biscuits. The weather makes things so comforting that all I wanted to do is roll under my sheets and this warm soothing drink just awakened my senses. And I just remembered that I was supposed to share my experiences with the Dell Venue 7 Tab. And today I will be sharing my browsing experience with this amazing 7" companion. Sabudana Vada/ Javvarusi Vadai / Sago Vadai is such an interesting recipe, I totally love the whole taste of these crisp vadas. Mind you these vadas need to be enjoyed while still warm, once they turn cold they start to lose out their crispyness. Nevertheless this is a great snack for evening tea time and totally different from the usual medhu vada, sambar or curd vada and masala vadas. Although I am not a big fan of javvarusi / sago/ sabudana but I don't mind enjoying them in an occasional payasam I would never want to cook with them otherwise. I think I am changing and not acting predictable these days ;-) off late the ingredients / recipes that are not my preferences have taken over my taste buds ;-) like lemon rice, masala vada, oats and so on. 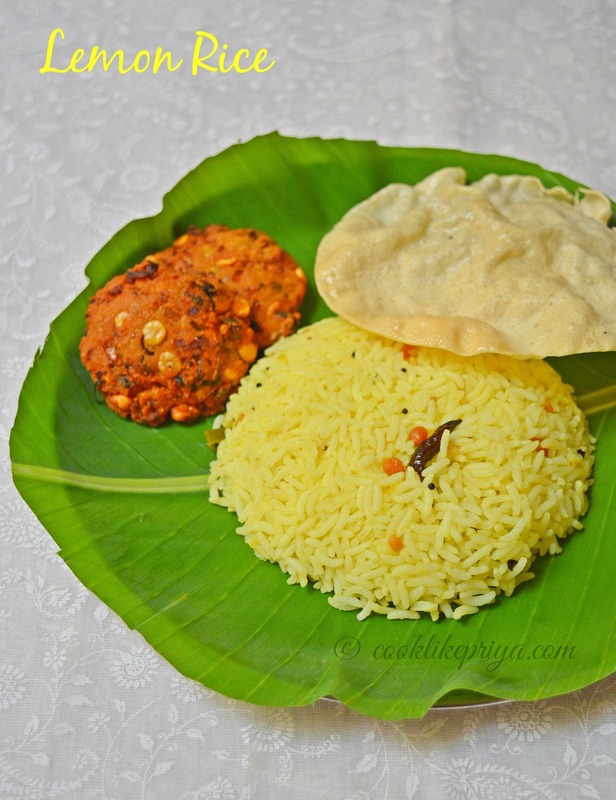 Tomato Rice / Thakkali Sadam recipe is one of my favorite mixed rice recipe. 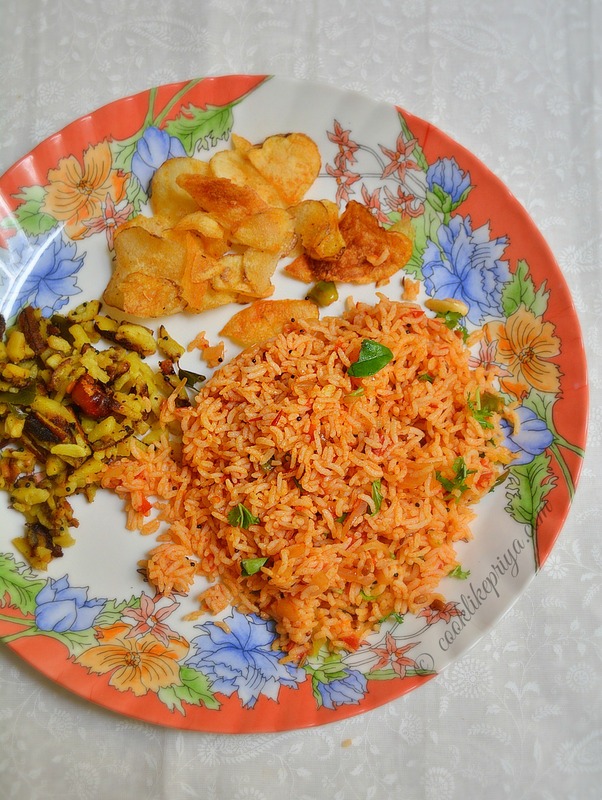 Its so simple and easy, you can prepare this under 10 minutes and if you have left over rice you could use that to make this tomato mixed rice. Although I must admit that making perfect tomato rice requires practice and I can say that I am nearly there. Read the tips below before doing this recipe. What is so great about curd rice? why post a recipe for this? might me the question for many who is seeing this post on my blog? The reason for sharing this recipe is for beginners who struggle to get the perfect taste to tempered curd rice. I have been there and gone through it, but eventually I learnt the taste and trick to getting the perfect curd rice. I can live for a week or almost daily just eating curd rice, I think it has to go with my Amma's genes as she is also someone who loves curd. There can never be a meal complete without us enjoying a spoon of curd. Its a must, I love having curd rice plain but at times I enjoy them tempered like the rice I am sharing today. 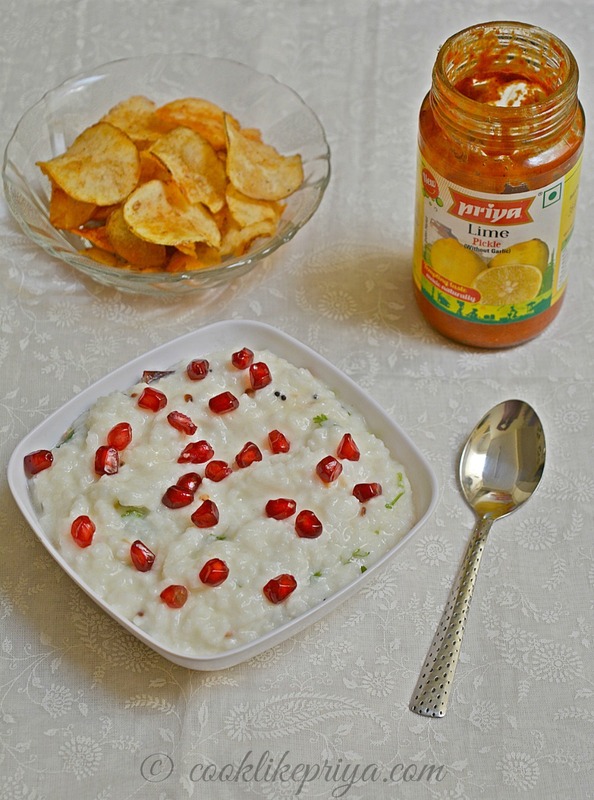 Curd rice, lemon pickle, potato chips are one amazing combination. Off late I have been craving for a soft buttery cake and I was also wanting a marble one as they are my most favorite kind of cake with the best combination of chocolate and vanilla. I almost instantly jumped into baking and skipped the usual egg free cakes to do the real deal. To my surprise the cake was absolutely awesome and one of the best that I have ever had in a long time. The whole house was smelling of cake and my dad was up all night to have a piece of this cake for his late night dessert ;-). And the joy of seeing him enjoy the cake was totally worth every second. Mum on the other hand is not a cake person she is never fond of anything sweet or baked but she loved the cake too. So before I go on about all that happened let me share this amazing recipe with all of you. 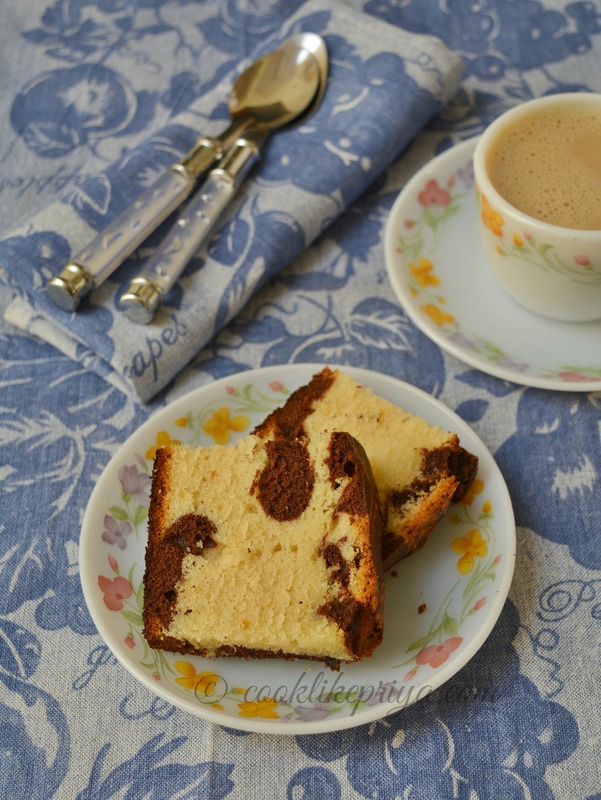 If you love marble cake/ snack cakes like me then this is must try recipe. I have been missing from blogging for a while and have been busy with a house shift. Phew the whole personal life has been super busy the past few weeks and I was not able to post recipes. Thankfully today I plan to start over again with a fresh start. 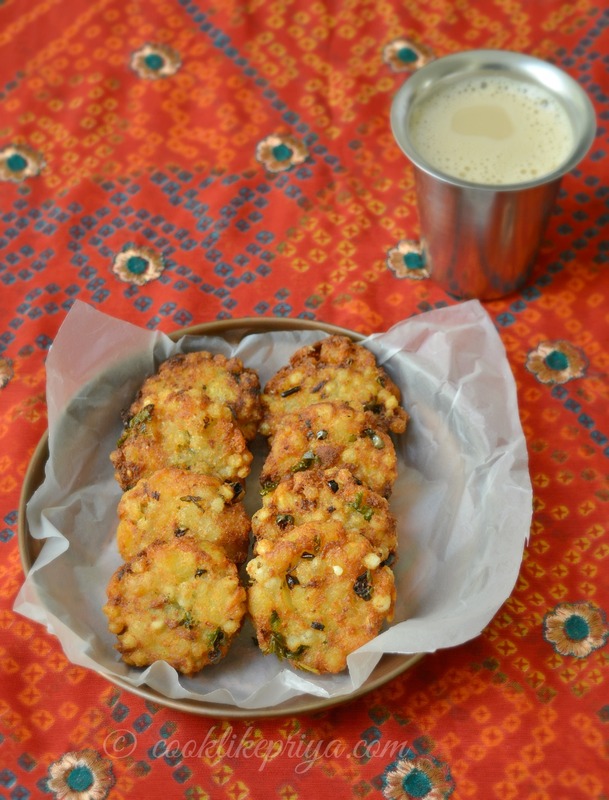 October being a month of celebrations and holidays I wanted to share one of our favorite tea time snacks Masala Vada. 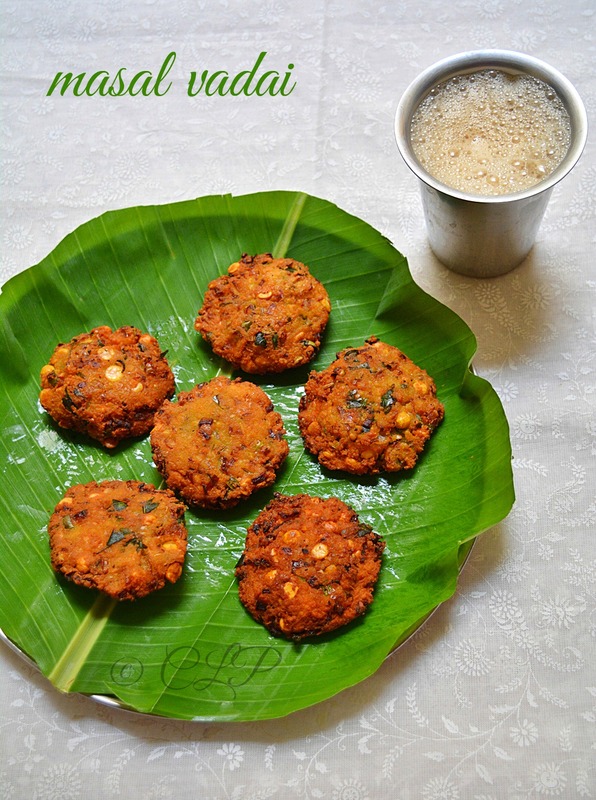 Masala Vada / Paruppu Vadai are a popular tea time snack in South India and can be found in street stalls and hotels a lot. Although I was never a huge fan of them, I can never say no to enjoy a few for tea. There is technique and practice involved in shaping the vadas and getting them in the perfect consistency. I have had some failed attempts for this one and that never puts me down in trying to make them again :-). The weather these days seems so perfect for these deep fried goodies and a cup of tea.